Home / #Europe.#Politics / #HumanRights / #TrueNews / #US / Myanmar / Rohingya / #HumanRights : United States to resolve Rohingya refugees crisis, but Myanmar Not Listening To Us,! #HumanRights : United States to resolve Rohingya refugees crisis, but Myanmar Not Listening To Us,! A few days at the United Nations Headquarters in New York and anyone would tell you the two most prominent voices are that of the Secretary General Antonio Guterres and US Ambassador to the UN, Nikki Haley. 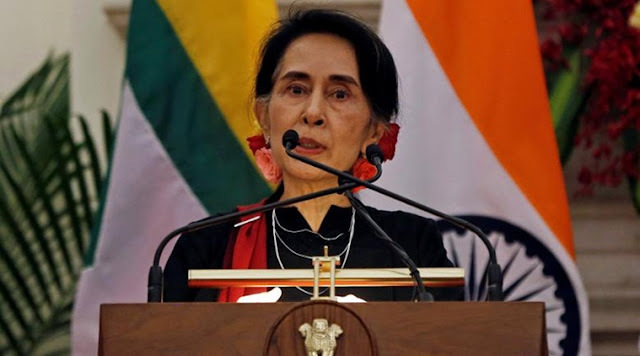 As both briefed the media on Thursday ahead of what is the most important week of the United Nations, one got a preview of what position the 'parliament of humanity', the UN, is likely to take against Myanmar. 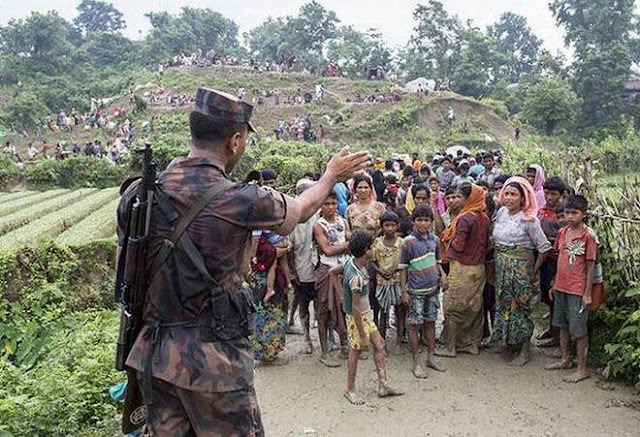 Refugee flow: A Bangladesh border guard pushes Rohingya to the no-man's land. Nikki Haley restated her position on Aung San Suu Kyi's response at the World Economic Forum discussion earlier on the arrest and sentencing of two Reuters reporters in Myanmar. 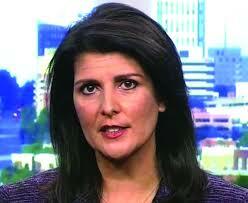 ''We have to figure out how we are going to bring back the Rohingyas to Burma in a way that is safe. I don't think the government has done enough; the military has not accepted responsibility. The fact that Aung San Suu Kyi basically acknowledged the fact that the reporters were right to be detained and imprisoned is a real problem, and so we have a communication problem. What they are saying no one understands and what we are saying they are not listening to. At some point the international community has to speak in one voice and not be okay with them being in Bangladesh," she said. The two reporters were investigating the killing of Rohingyas by the military last August. Ms Suu Kyi said at a forum in Hanoi last week that the case had nothing to do with freedom of expression. She said the reporters were sentenced for handling official secrets and "were not jailed because they were journalists." Both the Secretary General (Guterres) and the US Ambassador to the UN confirmed further developments that are all set to put pressure on Myanmar over the Rohingya crisis. Ms Haley called the crisis a 'hot topic' and revealed that she would be taking active part in a high level meeting during the UNGA on the issue. The Secretary General also confirmed that the International Criminal Court (ICC) will take up the case. Since the UN and the ICC work together yet independently, the process could see Myanmar cornered and liable to proving its case on the international stage. ''There was an initiative already by Bangladesh in relation to the ICC. So, the question is already on the table. And, as far as I understand, the ICC has recognized its capacity to deal with the issue. So, I think that this is already on course''. India has 40,000 Rohingya refugees and senior ministers in the Modi government have said they will be deported.